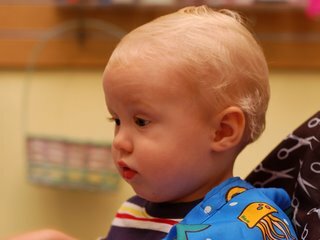 Yesterday we took Dylan to get his first haircut at Little Kuts in Pasadena on Lake Avenue. It was a cute little place. Doesn't he look all grown up? Or is that me feeling like he's growing up too fast? 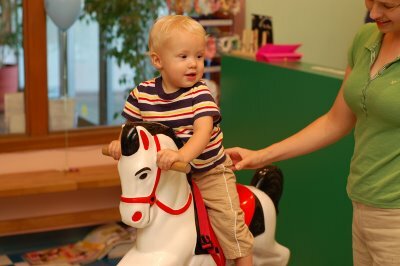 And here he is riding on the horsey that they have there for the kids to ride during their cuts. I decided to hold Dylan on my lap this time around, being that it was his first haircut and I was nervous for him. I asked the lady to not cut too much off, because I knew I'd miss those curls if she lopped them off. It took only about 5 minutes from start to finish. Ryan and I calculated that those ladies make a bundle off of those cuts. 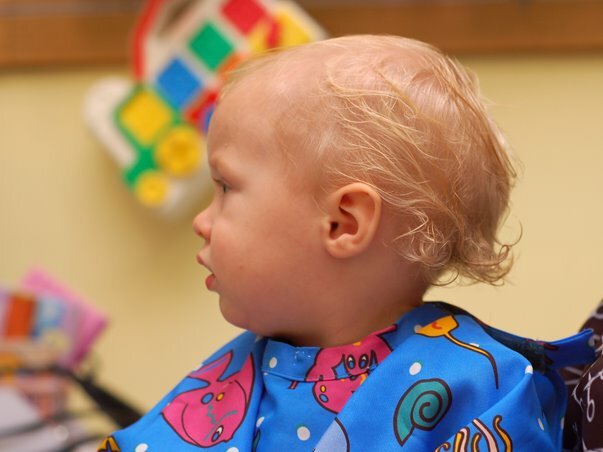 But for his first cut, it was worth going all out. We took pictures (obviously), got some of his curls saved for his baby book, and Dylan got a balloon and a certificate. He seemed to enjoy it and we have some fun memories from the day out together. He does look more grown up!